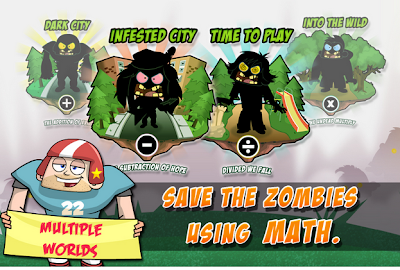 Math vs. Zombiesimage, "There are lots of apps for math fluency but has to be one of the most engaging ones! Students use fanatics facts to turn zombies back to people in this fast moving, sharply illustrated math fluency game. It’s a great app for changing up your skill and drill flashcard routine! ", writes Monica Burns. She is a fifth grade teacher in a 1:1 iPad classroom. Visit her website at classtechtips.com for creative education technology tips and technology lesson plans aligned to the Common Core Standards.